flash and shiver with river poison. its beast chorus on alert. claim the elders, is not altogether bad. Though little in size, we have big appetites. We keep sharp eyes to the ground. We see the lazy fish, but fear the pinprick of arrows. and we hear their crepitating fear. The long ancestral flight from Æthiop is nearly over. and reeds with black rain. not above small acts of desecration. with opalescent shards of clam. of tall fluttering white toads. then swallowing them like frogs. Our bloody wings are not stigmata. Maimed or not, we remain soldiers. falls out of the sky. But which is more stubborn, pygmy or crane? for one last chance at truce? Only the watching moon ever learns, not we. Poet’s Notes: In every poem I write, I try and do my best to come up with at least one or two turns of phrase that I hope will make the reader smile or gasp: a well-crafted simile or beautiful metaphor; a series of fantastical, horrific, or SFnal images; whatever--as long as the words that wind up on the page are fresh and original. 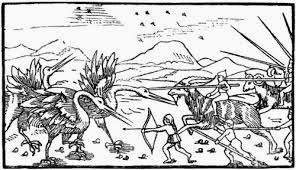 Thus my overall intent with "The Crane-Pygmy War." To take a relatively minor event from Greek Mythology (which I've loved ever since 1958 when the movie Hercules starring Steve Reeves came out) and to endow it with as much heightened language as possible and make it sing. 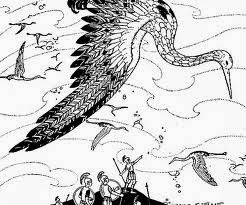 No, it's not Homer; but I do hope when you read it you can hear and see the fluttering of wings and brave defense of little men as pygmy and crane engage each other in a battle for their lives. Editor’s Note: I particularly enjoy the epic, Homerian style and themes as well as the back-and-forth shifts in perspective between one party and the other. The poem feels like a tantalizing fragment of a larger work from a lost translation of Ovid. 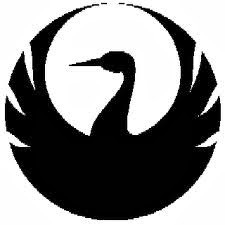 "The Crane-Pygmy War" first appeared in the April 2014 issue of Songs of Eretz Poetry E-zine.